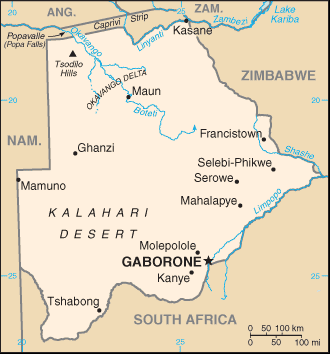 Botswana, officially the Republic of Botswana, is a landlocked country in Southern Africa. Formerly the British protectorate of Bechuanaland, Botswana adopted its new name after becoming independent within the Commonwealth on 30 September 1966. Since then, they maintain a tradition of stable representative republic, with a consistent record of uninterrupted democratic elections and the best perceived corruption ranking in Africa since at least 1998. It is currently Africa's oldest continuous democracy.